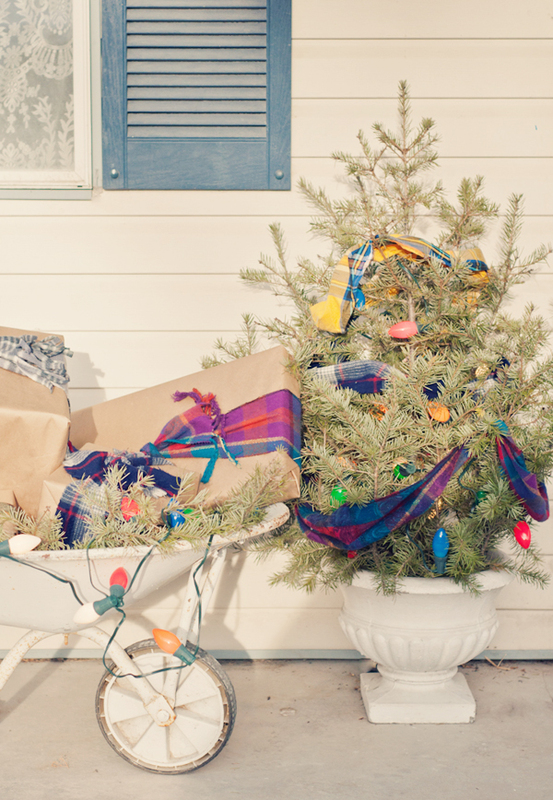 Vintage Whites Blog: It's a Very Plaid Christmas! 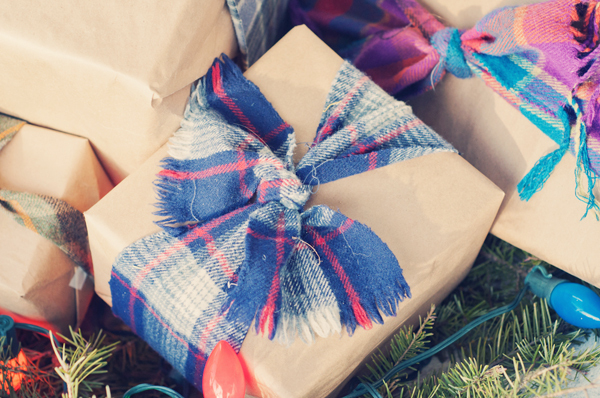 It's a Very Plaid Christmas! 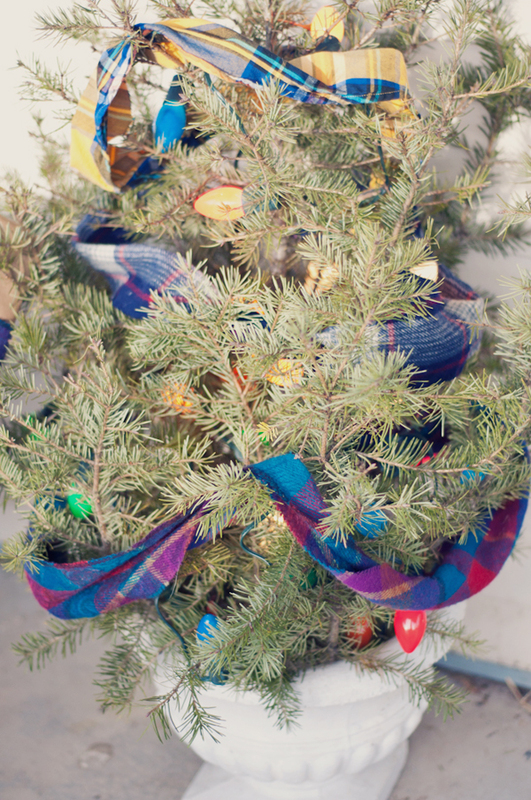 To decorate my porch this Christmas, I found old plaid scarves at the thrift store and strung them on a small tree; along with the old-fashioned colored lights. 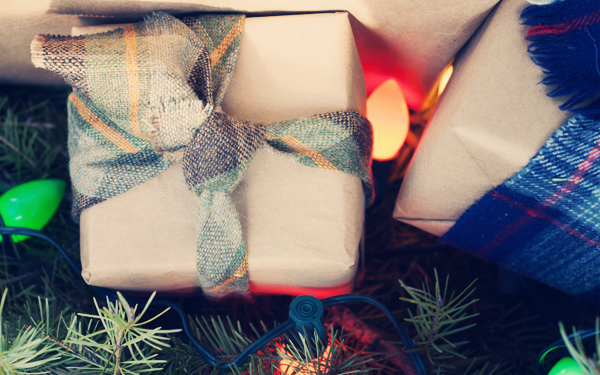 I found they're also perfect for wrapping around presents. I didn't have to cut, glue, or tape anything. 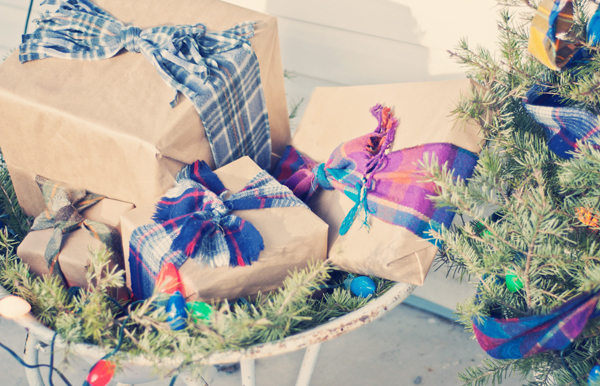 A simple kno,t and you've got a beautiful and festively wrapped Christmas gift. 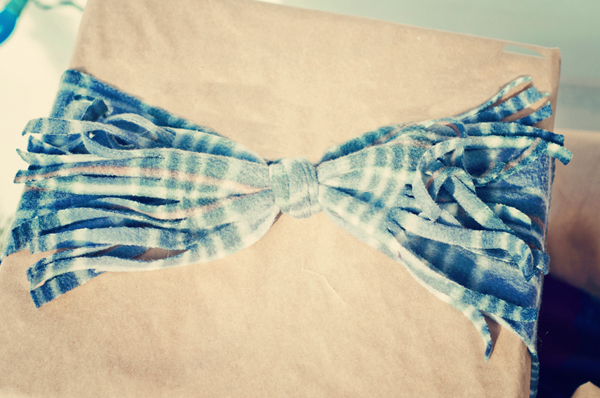 I even found a plaid tie and was able to wrap it around a gift. How simple and amazing!! 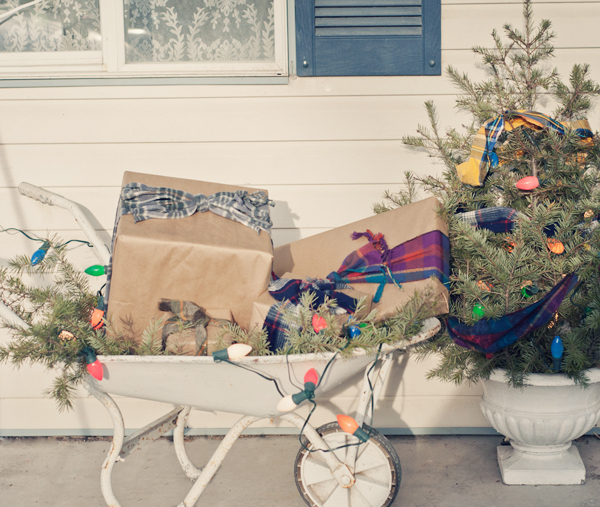 A wheelbarrow full of packages, lights, and tree boughs made a great display along with the little tree. 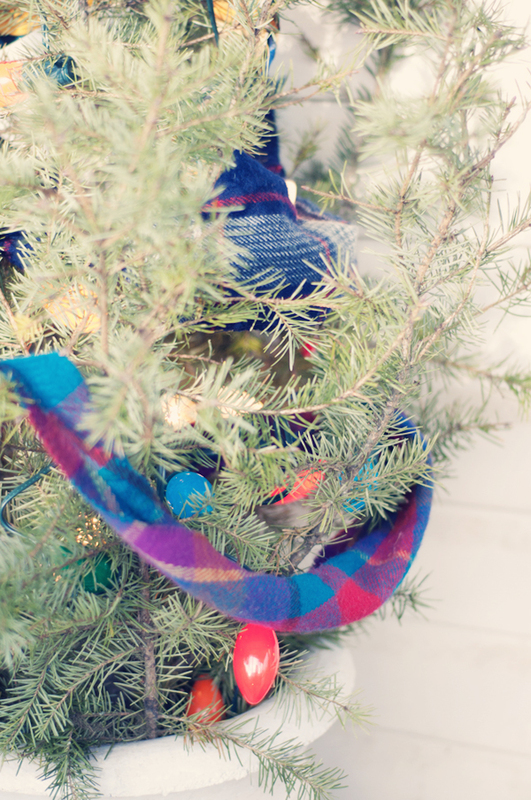 It's a bright, colorful, and oh-so-easy array of Christmas cheer! Are you ready for Christmas? What a GREAT idea...festive and colourful and functional! Love it! Thank you so much Sherry! Hope it inspired. Thanks!! It would have been posted so much earlier but we just had too many ideas to post. But keep it in mind for next year!